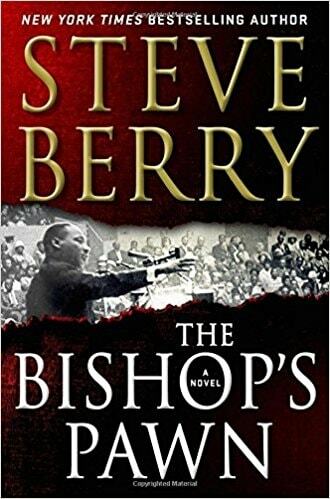 VJ Books Presents Author Steve Berry! Steve Berry was born and raised in Georgia, graduating from the Walter F. George School of Law at Mercer University. He is a New York Times bestselling author. His books have been translated into 40 languages with 21,000,000 copies in 51 countries. He was a trial lawyer for 30 years and held elective office for 14 of those years. 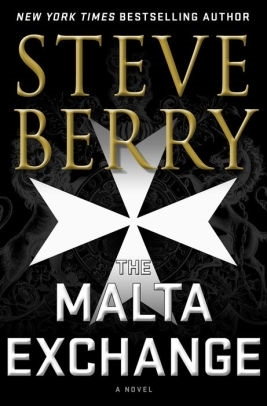 History lies at the heart of every Steve Berry novel. It's his passion, one he shares with his wife, Elizabeth, which led them to create History Matters, a foundation dedicated to historic preservation. Since 2009 Steve and Elizabeth have crossed the country to save endangered historic treasures, raising money via lectures, receptions, galas, luncheons, dinners and their popular writers workshops. Berry was a trial lawyer for 30 years and held elective office for 14 of those years. He is a founding member of International Thriller Writers - a group of nearly 4,000 thriller writers from around the world - and served three years as its co-president. Author Signed Bookplate. Self-adhesive label, approximately 3" x 4" (though sizes may vary slightly), signed by Steve Berry. Author Signed ARC Book. April 2016 NY: Minotaur Books Advance reading copy, mint, new/unread in flawless pictorial wrappers, signed by author. Author Signed Hardcover Book. April 2016 NY: Minotaur Books First edition, first printing, mint, new/unread, flawless dust jacket, signed by author. Each dust jacket is protected in an acid-free archival quality acetate cover. Author Signed Hardcover Book. April 2016 NY: Minotaur Books First edition, first printing, fine in a near-fine (chip to bottom front cover) dust jacket, signed by author. Each dust jacket is protected in an acid-free archival quality acetate cover. Author Signed Advance Reading Copy Book. 2007 NY: Random House Advance reading copy, mint, new/unread in flawless pictorial wrappers, signed by the author. Author Signed Hardcover Book. 2003 NY: Random House First edition, first printing, mint. new/unread in a flawlewss dust jacket, signed by author. Each dust jacket is protected in an acid-free archival quality acetate cover. Author Signed Hardcover Book. March 2018 NY: Minotaur First edition, first printing, mint, new/unread in a flawless dust jacket, signed by the author. Each dust jacket is protected in an acid-free archival quality acetate cover. Author Signed Hardcover Book. May 2012 NY: Random House First edition, first printing, mint, new/unread, flawless dust jacket, signed by author. Each dust jacket is protected in an acid-free archival quality acetate cover. Author Signed Hardcover Book. May 2012 NY: Random House First edition, first printing, fine in a fine dust jacket, signed by author, remainder marked. Each dust jacket is protected in an acid-free archival quality acetate cover. Author Signed Hardcover Book. November 2010 NY: Random House First edition, first printing, mint, new/unread in a flawless dust jacket, signed by the author. Each dust jacket is protected in an acid-free archival quality acetate cover. Author Signed Hardcover Book. May 2011 NY: Random House Publishing First edition, first printing, mint, new/unread in a flawless dust jacket, signed by the author. Each dust jacket is protected in an acid-free archival quality acetate cover. Author Signed Hardcover Book. May 2013 NY: Random House First edition, first printing, mint, new/unread, flawless dust jacket, signed by author. Each dust jacket is protected in an acid-free archival quality acetate cover. 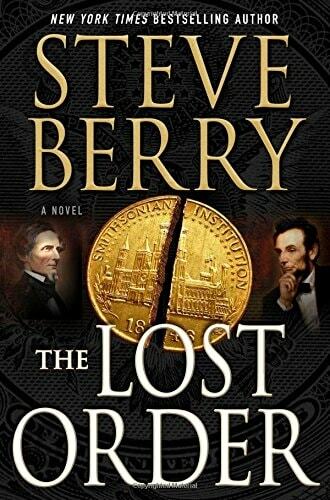 Author Signed Hardcover Book May 2014 NY: Ballentine First edition, first printing, mint, new/unread in a flawless dust jacket, signed by author. Each dust jacket is protected in an acid-free archival quality acetate cover. Author Signed Hardcover Book. April 2017 NY: St. Martin's Press First edition, first printing, mint, new/unread in a flawless dust jacket, signed by the author. Each dust jacket is protected in an acid-free archival quality acetate cover. Author Signed Hardcover Book. March 2015 NY: St. Martin's Press First edition, first printing, mint, new/unread, flawless dust jacket, signed by author. Each dust jacket is protected in an acid-free archival quality acetate cover. Author Signed Hardcover Book. March 2015 NY: St. Martin's Press First edition, first printing, fine in a fine dust jacket, signed by author, remainder marked. Each dust jacket is protected in an acid-free archival quality acetate cover. Author Signed Hardcover Book. 2006 NY: Ballantine First edition, later printing, fine in a fine dust jacket, signed by author. Each dust jacket is protected in an acid-free archival quality acetate cover. Author Signed Hardcover Book. 2005 NY: Ballantine First edition, first printing, fine in a fine dust jacket, signed by author. Each dust jacket is protected in an acid-free archival quality acetate cover. 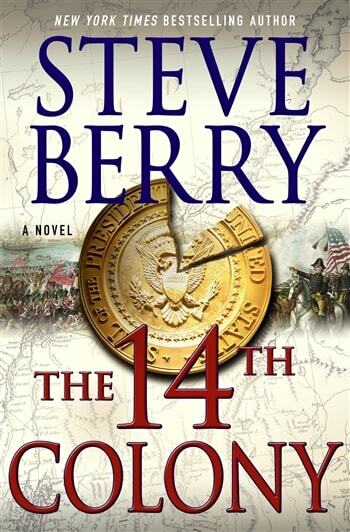 John Review's Steve Berry's "The 14th Colony"